How & where do I meet the dog I’m interested in? WHERE: Depending on scheduling + the dog’s location, a meet & greet will be held at: the rescue, the foster home, or at your home. In some cases, a neutral and public location like a park setting might work best for a first meet when introducing dogs to one another. Due to the nature of our foster-based rescue, meet & greets are usually with only one dog at a time. How: Complete the adoption form linked above. Please tell us about yourself, your lifestyle, & which dog - or what type of dog - you are interested in. The more detail the better! Help us get to know you as dog owners. Why? Your adoption application helps us pair you with potential matches. It is our job to make sure our animals go to the best homes possible. Please be sure to include pics/videos of your home, backyard & current pets in a separate email, or your application may not be reviewed. Pro Tip: Puppy Adoptions are often more competitive, so be extra thorough in your answers to help us distinguish your home from other interested homes. What are your adoption fees & why are they priced this way? WHAT: Hearts for Paws kindly asks for a $250 adoption donation, (Puppies 2-5 months: $375). However, some dogs may have lower or higher suggested donations. Each dog’s individual adoption donation is listed in their bio at: Meet the Dogs. WHY: Your generous donation helps cover the costs of wellness checks, spay/neuter surgeries, emergency services, major surgeries for medical needs dogs, medications, monthly preventatives, grooming, transport, training, boarding, equipment & food. The costs to treat a HEALTHY adult dog in our program may include, but is not limited to: spay/neuter ($125-200), vaccinations ($12-30 per vaccine), microchip ($15-50), flea/tick treat/deworm/monthly medicines ($15-75). Our Puppy Adoptions generate the majority of the funds to pay it forward to longer term residents, special-needs, and medical-needs cases. We have routinely spent between $1,000-$7,000 to save the lives of individual dogs who needed major operations or in some cases, life-saving surgeries. We are a small (but mighty!) force run completely by caring volunteers. We pay out of pocket expenses everyday to do what needs to be done for the animals that need us most. 1) directly save a life. 2) help raise funds for vetting & care. 3) create space for another deserving soul still waiting to be rescued. Do I have to complete a separate adoption form for future dogs? Once you have completed an adoption form, we are happy to keep your form on file for future matches! Only if significant time has passed, major circumstances change, or other relevant/applicable info changes (moves, household members, current pets, work schedules), you may be asked to complete another form. If you have an application on file, keep an eye on our social media/website and if you see a dog that tugs at your heart strings, shoot us an email to discuss the potential match. We aim to find homes with the time, dedication and commitment to fully incorporate a new animal into the family. Our adopters must agree to use kindness, positive/balanced reinforcement, as well provide vetting & diligent care throughout the animal’s life. For first-time owners, or specific dogs, we may require new adopters enroll in training classes with their new pet to help ensure a long-term successful adoption. We also ask adopters to stay in touch with pictures/updates periodically. Per contract we may require a 3-week post adoption, and/or 6-month post-adoption home-check. We try our best to address each dog’s and adopter’s needs but should an adoption not work out, we require adopters offer the animal back to HFP before any other steps are taken. Why? We want to make sure our dogs never end up in shelters again! What are some things to expect when adopting a new dog? Some families come in with an unrealistic expectation that the dog will be able to assimilate to their family without any transition time at all. Very few dogs can do this. For the majority, it requires time, patience, structure, and bonding time for the animal to feel comfortable. For the sake of the dog, you must respect this transition time (decompression), and the vital need to take the first few weeks SLOW. Even if your dog is coming from a loving foster home, there’s a lot of stress associated with so much change. As the new pet parent, you should be prepared to help make the transition as comfortable and soothing as possible. Dogs need this period of time to return to a calm state of mind. Treat the dog with respect while giving gentle guidance, exercise (walking — lots of walking is a great way to build bond, trust, familiarize your dog to your neighborhood, and get exercise). Use quiet times to bond together. Working on engagement and building a strong bond between you and your new best friend early, is the best first step you can take on your new journey together. We hope you have already put lots of time & thought into adopting a dog before contacting us. Moves, finances, time constraints, and other life changes are only some of the most common reasons dogs are surrendered shelters every day. As a dog owner, how will you face these changes should they occur unexpectedly? If adoption is further down the road…. a great place to start is volunteering at your local shelter. 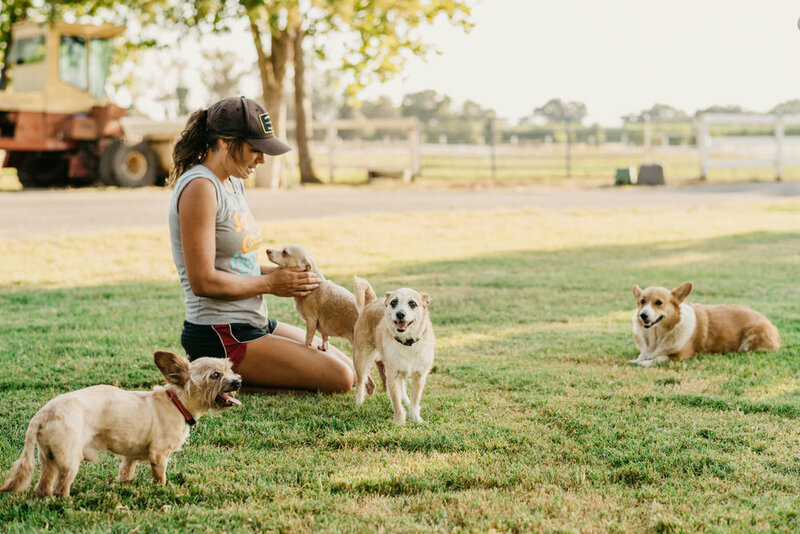 Volunteering to walk and care for the dogs who desperately need it will increase your skills/abilities, allow you to interact with many types of animals, and give you a greater understanding of a shelter dog’s journey to a forever home. 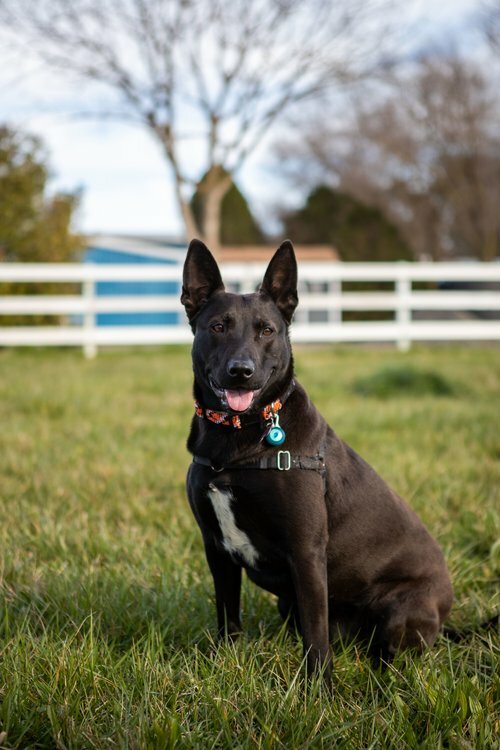 If you are on the fence, or not quite sure if now is the right time, what kind of dog fits best for your lifestyle, or have other reservations, we strongly encourage you to foster or foster-to-adopt (like a trial of sorts) first, before diving in. Please head over to our foster page to learn more about these options. So, are READY TO FIND YOUR NEW BEST FRIEND? Because they're ready to find you.